Tap to cook in kitchen as a madness chef. Challenge and fast pace cooking game! Game is relaxing, it is very easy to play but challengeable to be mastered! 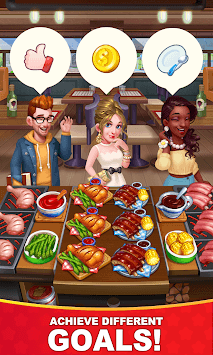 Feel the growth of cooking knowledges and the enhancement of cooking skill as you playing the game. Endless fun and joy is coming! Do you dare to challenge the most picky customers? Will you accept the lasting cooking joy? You are facing the same challenges a top chef will encountered in a real restaurant! Use your fingers to cook delicious and fine food, realize your cooking dream as a crazy chef. The hottest thing is: you are a star chef, people hear of your fame and chasing you all over the world in order to taste the amazing food cooked by you. Tired of waiting for new levels in the other games? It won’t happen here. Mountains of game Levels are here waiting for your challenge! 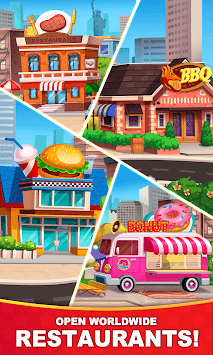 And we release updates regularly with new restaurants, new levels, new dishes, new gameplays! You are the right cooking master customers are longing for! Follow our fan page, get the latest news, participate the fan page activities, get the gifts that are only for fans. 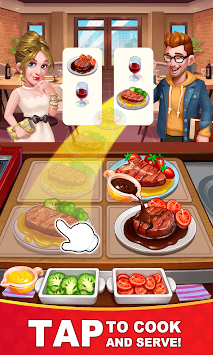 Write down your cooking dairy, share game experiences with your friends, get social, and spread the cooking fun!